The Northern Ireland Business and Innovation Centre (NORIBIC) in conjunction with Serious Games developers throughout Ireland , have come together to organize a conference to announce the Awakening of the Serious Games Industry within Ireland andndash;The Serious Games Awakening Conference (SGA). 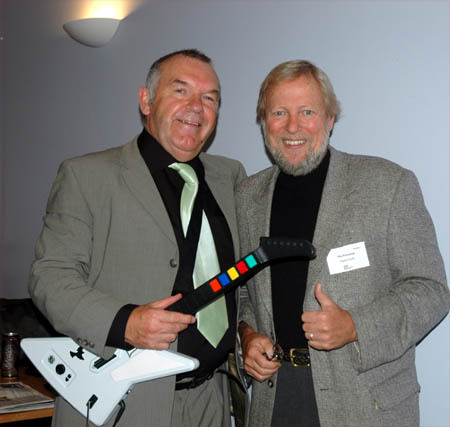 To mark the event, Serious Games Industry veterans will provide a series of talks sharing their expertise in all areas of the Serious Games industry from both business and technical perspectives. Bunkspeed’s HyperShot delivers revolutionary, interactive 3D rendering. It’s real time, for everyone, from anywhere – even your laptop. See instant global illumination and physics-based materials on models come alive, right before your eyes…with stunning photographic results. Science based and patent-pending, HyperShot equips you to simply load your models and environments, then see high-tech automation in action. Or scale up and customize completely. From industrial design to marketing photography, satisfy your needs for stellar speed and utmost quality. So real, you can skip physical prototypes. Designs are rendered on the fly. What used to require daunting effort, time and expertise can now be done by anyone on your team. In minutes, not hours or days. As if you needed more proof that virtual worlds were serious business, US intelligence VC organization In-Q-Tel are about to fund additional features to Forterra System's OLIVE platform. Features are to include the ability to import Sketchup models, a network proxy that allows the system to run through a wider range of firewall configs, a 3D conferencing and document sharing utility and a whole stack of avatar and environment based tweaks. 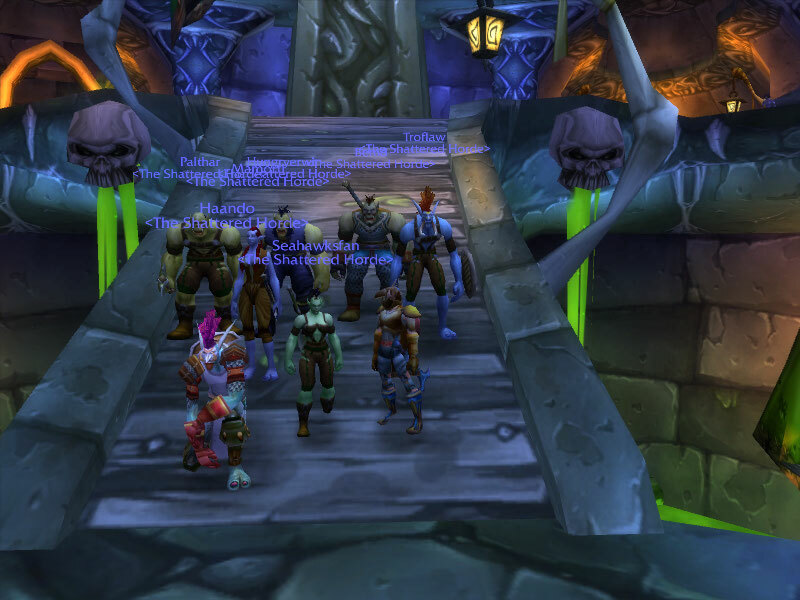 Few companies have taken to virtual worlds like MTV. They have six virtual world attractions based on original television shows right now, and another on the way called "Virtual Lower-East Side" which will be a replication of a large section of Manhattan. I called Matt Bostwick, Senior VP of Business Development MTV Networks' Music Group, and asked him why MTV got into virtual worlds in the first place. VIDEOGAME machines, long seen by parents as a formidable enemy in the battle to get their children to study, are advancing into the classroom. In a growing number of Japanese cities, teachers hoping to engage children born in the fast-moving digital age are using game machines such as the Nintendo DS, the hugely popular double-screen handheld console, to draw in and hold students. Second Life Science City is a virtual world demonstrator and events programme to engage West Midland’s businesses in the use and exploration of the commercial and social networking potential of immersive virtual environments such as Second Life. It is a collaborative project funded by Advantage West Midlands and supported by a range of regional and national partners such as Daden Ltd, Ambient Perfomance, Enable Enterprises, Digital 2.0, CSWP, Faro Ltd and NPL. The Scottish Learning Festival that opened in Glasgow, Scotland today also has an island in the virtual world of Second Life. The festival was previously known as the Scottish Education and Teaching with Technology conference, or SETT for short. The simulator, called Learn4Life Island , hosts some vendors, including the software FileMaker, a provider of database technology that can be adapted to the education sector. This could be a simple and cheap alternative to Adobe Connect when used with Skype and scriblink. UK rock band Oasis is opening its official online space in the virtual world Second Life (SL) this Monday, September 24, and is kicking off with a preview of its latest release, a feature-length-plus, limited edition double DVD entitled ‘Lord Don’t Slow Me Down’. The facility – built for Oasis in Second Life’s ‘New Horizon’ business park – is a joint venture between SL developer New Business Horizons and SL media producer Phoenix Film & Television. Call it Second Life on the web, call it an MMO markup language, call it the most powerful open-standards, web-driven game platform ever made public — however you end up describing it, we finally have the main details to go on. After a year of rumors and terse venture funding announcements around Raph Koster’s new San Diego-based startup, Areae, his stealth Internet project is finally public. Hours before he went onstage at TechCrunch 40 to officially introduce Metaplace, Areae’s metaverse for the web, Koster’s publicists finagled me an extensive interview and first look at the platform. Formerly Sony Online’s creative director, Koster also directed the Star Wars Galaxies MMO and led design on the groundbreaking MMO Ultima Online. So everyone in the online game/virtual world industry has been eagerly waiting to see just what he was planning. One look at SimCity Societies immediately reveals that namesake or not, it takes the franchise in a whole new direction. For the cadre of loyal fans this comes as a substantial shock, and with good reason. After both critical and retail success with the established design, this departure raises numerous questions, beginning with a very basic "why?" For the answer we went straight to the top and caught up with Rod Humble, vice president at Electronic Arts and head of the Sims Division. While he stops short of promising a "real" SimCity 5, the glimpse into the world of the Sims development teams he offers gives ample cause to be intrigued by both this project and those to come. Uncanny Valley - Can Modern 3D Graphics be TOO Real ? The Uncanny Valley is a hypothesis about robotics concerning the emotional response of humans to robots and other non-human entities. It was introduced by Japanese roboticist Masahiro Mori in 1970, although drawing heavily on Ernst Jentsch's concept of "the uncanny," identified in a 1906 essay, "On the Psychology of the Uncanny." Jentsch's conception is famously elaborated upon by Sigmund Freud in a 1919 essay, simply entitled "The Uncanny" ("Das Unheimliche"). A similar problem exists in realistic 3D computer animation. SLCN, the Second Life Cable Network brings you virtual TV. It is a professional video network designed to expand the in-world audience as well as deliver virtual entertainment to the real-world. Started by Wiz Nordberg SLCN is quickly growing to become a virtual entertainment conduit of Second Life programming. All the video clips found on this website are archives of live events as they happened in Second Life. Typically, the live video is seen on screens at various locations in Second Life as well as streamed to this website. Since the release of Brain Age in Japan, Nintendo has turned their attention toward casual, nontraditional fare for adult audiences. Much of it, like Brain Age, is casual game material with a slight educational slant, but other successful DS releases, like Cooking Navi and Eigo Zuke, are not games at all, but rather educational aids and tools designed to use the DS's unique interface. They're all doing massive business, which makes it difficult to laugh at them no matter how silly they are. 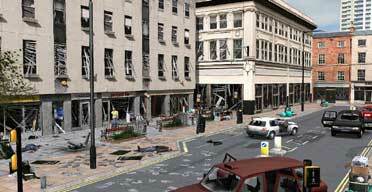 Doctors are to be trained on a video game that simulates the effects of a city centre explosion, to help them decide how best to treat casualties. In the game a major explosion has left people injured around the imaginary city's streets. Doctors have to navigate to the bodies and assess patients' treatment priority based on breathing, circulation and pulse rates. The "serious game" has been developed for medical education charity Advanced Life Saving Group, which runs courses for NHS hospital staff and other medical professionals. The Manchester-based charity plans to use it at a training seminar for the first time next month.